@QBOchat Hi #QBOchat family!! It’s been a busy busy couple weeks but I am back!!! Alex with TSheets by QuickBooks here in sunny Boise, ID! Morgan w/ ClockShark pulling up from sunny Chico, CA! Excited to be back from Ohio and here for another #QBOchat : I missed last week. ? @avalara @QBOchat Hey There, Alan! ? So delighted tax season is over: I volunteered w/ VITA this year in Chico and learned a lot! #QBOchat hi all! Kelly here with Totally Booked …tweeting from rainy NYC. ? 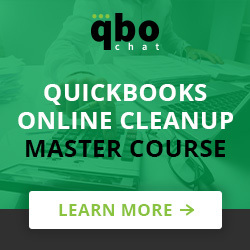 @QBOchat Thanks! Glad to be a sponsor. Hope we can make small businesses more efficient by mailing their invoices for them! @sharearefund Thanks! We are excited to add it to our sweet suite of time tracking tools! ? Rollin’ in extra late for today’s #QBOchat! Barb with @mydryrun out of #yeg Edmonton AB! Hi everyone! 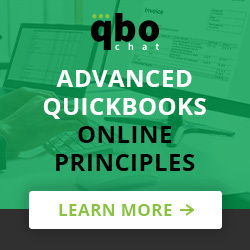 #QBOchat I value or flat rate price all the way…. I did away with hourly pricing last year, even on clean up work. I study their file well and have a checklist I use to make sure all my bases are covered. ← What is Circulus, Accounts Payable?